Watch for information on the next Volunteer Appreciation Dinner. Thank you for your support in 2018. The 2019 festival is July 19-21, please save the dates. You can view scanned copies of newsletters that were published during the 50th anniversary year of 1974. 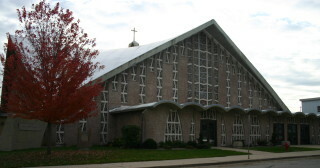 Although not all of the newsletters that were published are available, what has been found helps convey the rich history of St. Rita Parish.